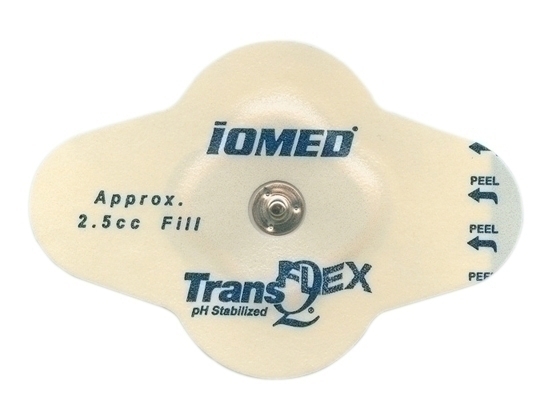 IOMED Iontophoresis drug delivery systems. Single use iontophoresis electrodes for various treatment sites. Clover shape: surrounds highly contoured treatment area. Extra adhesive: adds more surface area to increase adhesion when under stress.